DingGo has a trusted network of panel beaters and repairers. In order to become a DingGo panel beater all of our smash repairers have to go through a six step verification process. Foundation Member Badge: This means that they are a panel beater who joined DingGo in the first 12 months of our operations and has personally worked with the DingGo team to help make the customers experience and panel beater experience as good as it is today. Motor Trades Association Badge: This means that they are a member of the Motor Trades Association. Founded in 1910, the Motor Traders' Association of New South Wales (MTA NSW) is an employers Association dedicated to representing owners and business principles in the NSW automotive industry. Environmental Accreditation Badge: This means they use the Green Stamp Environmental Management System. Green Stamp is a motor industry specific program that provides accreditation for businesses that not only comply with the law, but have gone beyond meeting their environmental responsibilities to operate in a way that is environmentally friendly. To find out more about Green Stamp, please visit the Green Stamp website. I-Car Gold Class Repairer Badge:The I-CAR® Gold Class™ designation is the highest role-relevant training accreditation recognised by the collision repair industry in Australia. The I-CAR Professional Development Program provides collision repair and insurance businesses with a reliable training framework for acquiring Gold Class status and maintaining the up-to-date knowledge and skills that contribute to compliant repairs, improved business performance and risk reduction. Find out more on the i-car website. A repair facility must identify a technician in each of these roles who has achieved I-CAR® Platinum Individual™ recognition, earned through I-CAR and Industry Training Alliance accreditation. All other employees directly involved in the repair of vehicles must complete four training points. To earn the Gold Class recognition, businesses must achieve and maintain a high level of role-specific training across each of the major collision repair roles. Lifetime Warranty On All Work Badge: This badge is for all DingGo’s trusted panel beaters and smash repairers who offer a lifetime warranty on all their workmanship. It means they have repaired the vehicle to the same quality as the surrounding vehicle and no quality issues will arise before they naturally occur with the age of the car. Verified By DingGo Badge: This means that the panel beater has passed the six step verification process to become a trusted DingGo panel beater. 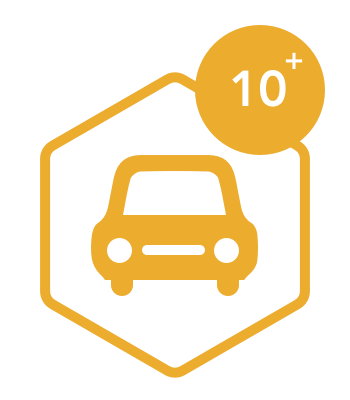 All smash repairers in the DingGo network have to have this badge (unless they are brand new and they are doing their first test repair as part of the verification process). 10+ Repairs Badge:This is a badge given to our highly active repairers who have provided panel beating repairs to over ten happy customers. 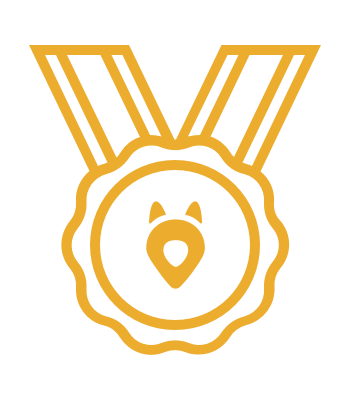 All Stars Achievers Badge: This a badge for when our repairers have completed a large number of jobs with a 4.5star or higher rating. Certified Repairer Badge (for a certain car make eg. Subaru): There is a badge for every make and model of car from Subaru to BMW. When our repairers have a specific specialisation in smash repairing a certain make they get this badge. In order to be a specialist repairer the panel beater must be endorsed by the car manufacturer’s local office. To get this accreditation they usually must be equipped with specialised tools and equipment direct from the manufacturer and have the specified training standards for their staff. 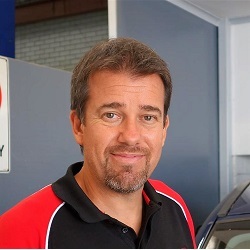 While a repair shop can be certified or preferred by a manufacturer, any licensed panel beater that performs a repair to a manufacturers specification will not void any new car warranty as per Australian law. 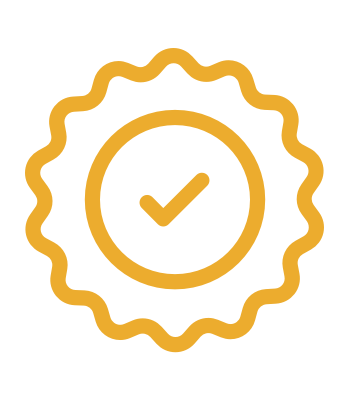 Highly Customer Reviewed Badge: This badge is awarded to DingGo trusted panel beaters and smash repairers who have an average customer rating of 4.5 stars or more. All of our panel beaters are quality assessed by customers to ensure they are the highest quality but these stand out repairers consistently provide exceptional service and smash repair work. Choosing a panel beater you can trust can be hard. If you don’t know someone who has used a good one, it can be a time consuming and stressful process. The easiest option is to use DingGo. We hand pick and verify all auto repairers on our trusted network. Using DingGo will also make it easier for you to get your car repaired too. You just have to upload 3 photos of your damaged car and give a brief description of the damage you want repaired - it takes 3 minutes tops! With that we will send it out to our network of trusted workshops and mobile panel beaters local to you. You’ll receive 3 quotes back in less than 48 hours and can choose the right repairer, time and price for you. Want to find out how much your repair will cost? Try our online quick quote. process. Very successful. My wife whose car it is is very happy with the repairs and paint job. Car was repaired to original new appearance. Perfect job. Paul is great to deal with. Free courtesy car was very welcome and convenient. I was kept informed of progress. Excellent service, communication and value. Can't recommend Paul and the team highly enough. Five stars. Great job fixing my bumper, looks amazing. Also did an extra touch up with no charge. Reasonable pricing and good service! They knew my car colour and did the work quite quickly. Car was left nice and clean. Loan car, whilst 21 years old, was in prestige condition. Great service and my car looks amazing again. My Audi had quite a lot of damage, and the people at Artarmon Auto Body Repairs went above and beyond to make my car look like it was brand new again! They were very detail oriented and I honestly could not be happier with the results. I highly recommend Artarmon Auto Body Repairs! Such a good customer experience. The phone support was great, the offer of a lift to the station was really appreciated, the work was completed within the time given (easily) and was of an excellent standard. The whole process through DingGo was very easy and saved me a bucket of time - will tell other people about the service now. Thank You. One of the best vehicle service/purchase experiences I’ve ever had. Such good communication, fast turnaround, great service and a competitive price. Actually can’t think of a single concern. I got my car back clean, on time and delivered to door. Marvellous! Let me know where else I can leave this review for you and I’d be more than happy to do so.